AI, machine learning, smart devices, chatbots, and robotization of the workforce are no longer terms of a distant future: they’re already here, transforming society as we know it. Now that chatbots can write and talk like human beings, will they be able to beat human copywriters at their own game? There was a time when AI was a science-fiction term: everyone talked about it, but it was something of a far-distant future. Now, that future has arrived: AI has become mainstream, ready to dominate your house and maybe even take your job in the long run. AI-enabled devices are becoming smarter through self-learning technology: not only can machines be trained to do a better job than humans, but they can also do it a lot faster than we can. The question then arises how soon will robots take over the workforce, and where will robotization occur most? Before we get into a specific use case (human copywriting), we’ll discuss the current state of AI and look at the limits of current chatbots, AI-based software that has seen a big uptake recently. The first big strike for AI came with the introduction of smart devices: voice assistants that can place orders online or turn on the lights in our houses. They introduced AI technology to the masses, such as natural language processing to formulate answers to questions from human beings. Everyone knows Amazon’s Alexa speaker-based voice assistant, which is powered by a chatbot framework called Amazon Lex. Other tech companies offer similar frameworks, in combination with additional natural language services, such as translation services or text to speech conversion. The big strike of AI will be transforming the workforce in a distant future. In fact, it’s already transforming how companies interact with clients. AI consultants from Iflexion say, we are at the beginning of a new digital trend where consumers massively adopt messenger services in favor of social media platforms, whereas businesses are turning to AI-based solutions such as chatbots to be able to interact with consumers through such apps. And this is just one example of how AI will change the job market. But let’s pause for a minute. What’s missing in the discussion about AI and how it will change the workforce is how it will do this, in combination with the limits of current AI technology. In reality, many AI solutions are no more than tech gadgets that offer the same functionality as a personal computer. And also many big companies use AI and content creation to get successful results. To understand more about the limits of current AI-based solutions, let’s have a look at an example: chatbots. Although tech companies claim that chatbots can hold a human-like conversation, the reality is different, because they need to be trained before use. Trained by humans, no less: humans teaching how to recognize different pronunciations of one single word, for example. Chatbot developers, on the other hand, need to define the goal(s) of a chatbot and the necessary information required from a user before carrying out a specific task, say, booking a flight or ordering a pizza. The problem is that a chatbot is completely dependent on user input, which makes them reactive by nature: this is nothing like a conversation between two human beings. Chatbots that analyze speech are quite slow in responding to the use, whereas text can be analyzed much faster than speech that has to be recorded and transferred first to a service capable of analyzing it. Again, this is not comparable to how humans converse. Context, or rather the lack of it, is another problem of chatbots. If a user asks a question that doesn’t have anything to do with its purpose, the system doesn’t know what to do. The same things happen if you make a joke or when user input is inaudible, which happens a lot when using a chatbot in the presence of other people. Finally, chatbots lack personality. But tech companies wanting to create such a personality or chatbot profiles, run the risk of stereotyping, which in turn can lead to negative user experience. There are no easy answers to creating a single UX that will satisfy millions of unique users. Now that we’ve discussed what chatbots can and can’t do, let’s have a look at AI and how it will affect the work of human copywriters. We’ll see that many problems with current chatbot technology are similar to those of AI copywriting. The idea of a machine writing human-like text has been used as the outline for various novels in the past. Now, the time has come where algorithms can truly write text, whether it’s prose, poems, or marketing ads. 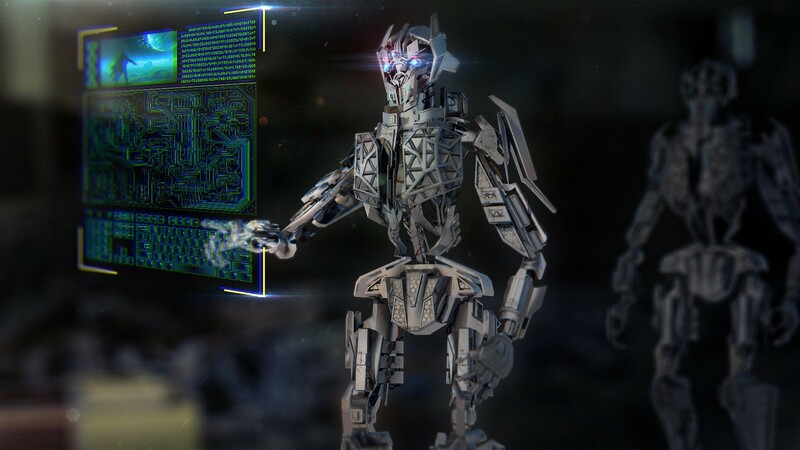 Bjorn Schuller, an expert, and professor in machine intelligence thinks it will take “a decade or two” before machines will replace humans in interpreting and rewriting the text. He admits machines are not yet good at “reading between the lines” or perform context-integration, which is also a problem with chatbots. While emotional intelligence is being introduced slowly to AI, he expects machines to be able to write in appealing ways, while at the same time develop characters and plots as novel writers do. Not everyone is that optimistic though: Emma Park, a senior copywriter from Australia, admits that even though machines outperform human beings when it comes to performing big data analysis in a short time, they lack empathy and creativity. While Schuller is optimistic that machines will be able to fill this empathy gap over time, Park currently sees “superficial empathy” at its best in digital marketing where machine learning is applied. But her main criticism is that machines are not as creative as humans in using language. Here, she defines “creativity” as “breaking the rules,” which is something AI isn’t trained to do: AI can only follow them, after extensive training. Taken one step further, marketing needs to innovate itself, which AI cannot do for that same reason. How AI helps to automate Facebook campaigns? How is AI helping the web hosting industry? When discussing the work from copywriters that can be done by machines, we need to distinguish between creative and non-creative copywriting tasks. Only a part of a copywriter’s job consists of repetitive and boring work that is “rule-based.” This is where AI can come to the rescue, but even then, the human factor is necessary: the outcome large-volume text analysis performed by machines still needs to be edited by humans, as neural net “black boxes” can’t be trusted fully. While AI certainly will have its impact on human copywriting, the bright side is that humans will be most probably spared from boring copywriting tasks and will be able to exercise their creativity to the fullest. How Hadoop is different from the traditional database? How can a Remote DBA expert help you with Hadoop? Interesting read. Technology is certainly taking giant steps. It wouldn’t be too long when technology might take over everything.